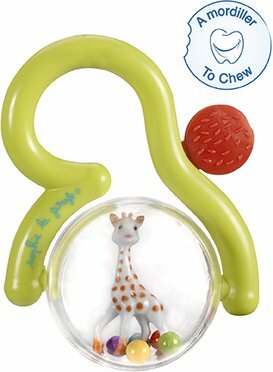 A combined rattle and teething ring! 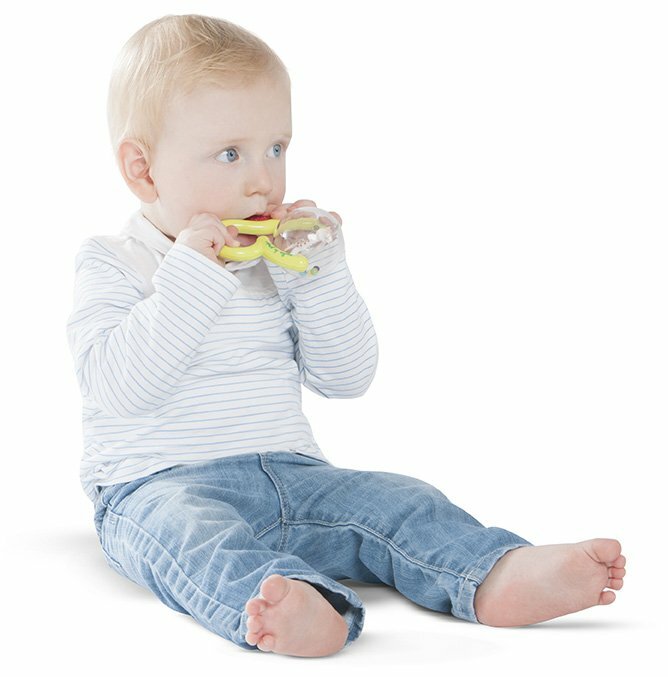 A handle adapted to babies' little hands for a good grip. 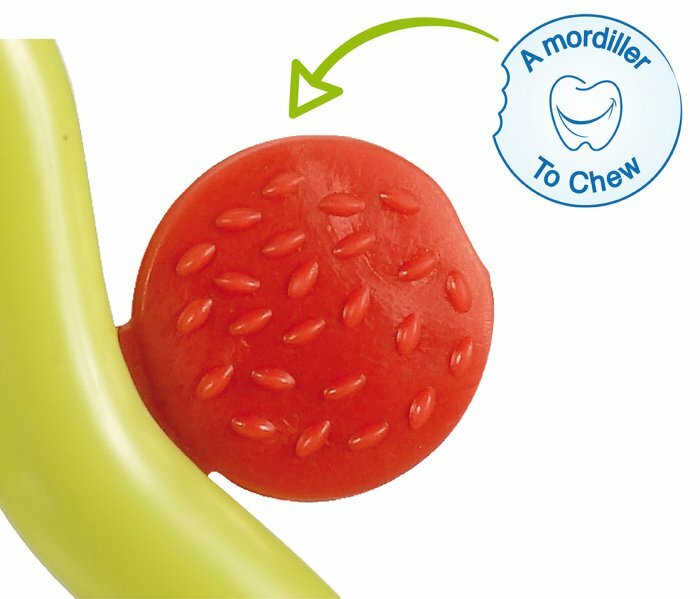 A little textured strawberry for babies to nibble, soothing their sore gums during teething. 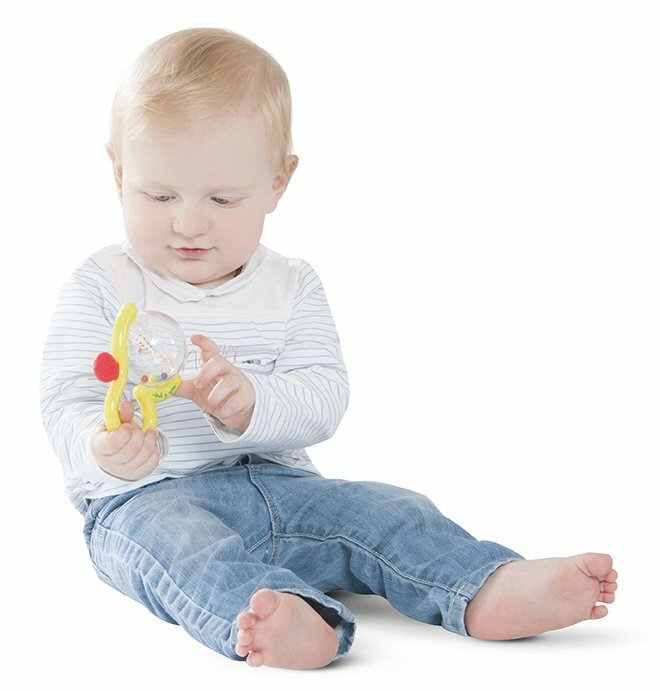 Brightly-coloured beads to shake and hear colliding with each other and a ball to swivel round and see Sophie the giraffe twirling around.